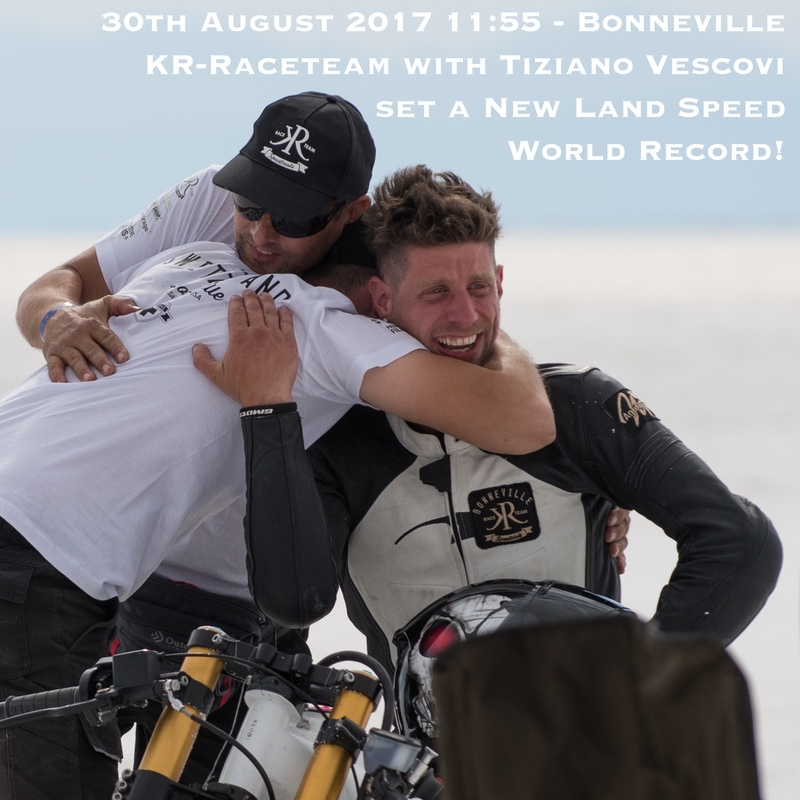 Today, Tiziano and the KR-Raceteam achieved the ultimate goal and set a new FIM high speed land world record at Bonneville Salt Flats, Utah, USA! Our emotions are running wild - we are so happy and grateful for this experience. 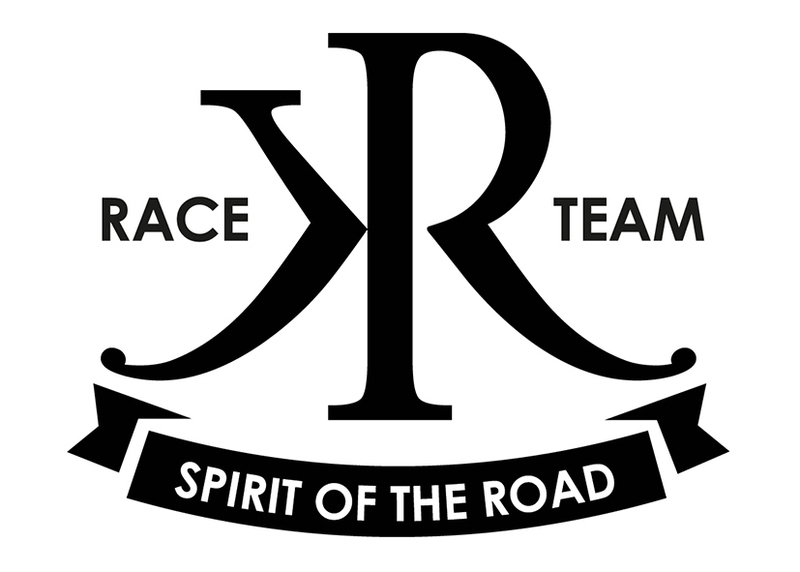 We have feared, struggled, jumped with joy and cried all together in one single morning! 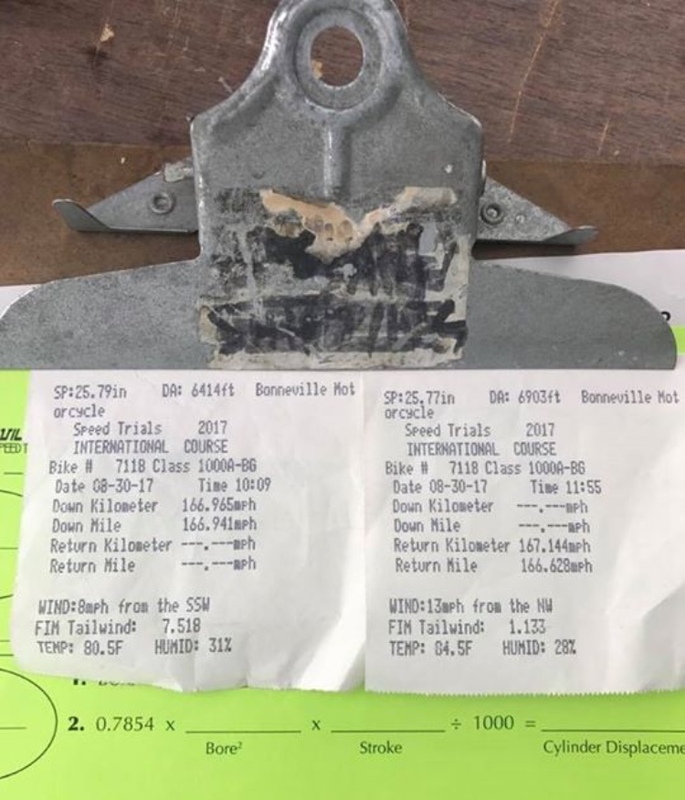 We confirmed on the return run and have just set a NEW WORLD RECORD with 167.05 MPH / 268.85 KPH (FIM has confirmed the result - pending FIM ratification)!